The Las Vegas to Phoenix with Grand Canyon South Rim tour departs the Las Vegas strip between 6:00am and 7:00am and arrives in Phoenix between 7:00pm and 8:00pm. Please note this is a one way tour ending in Phoenix. Before arriving to the widest and deepest part of Grand Canyon National Park, the tour will stop in historic Williams, AZ. With the Grand Canyon Railway and the intersection of Route 66, this small town is a reminder of the American West from the 1950s. 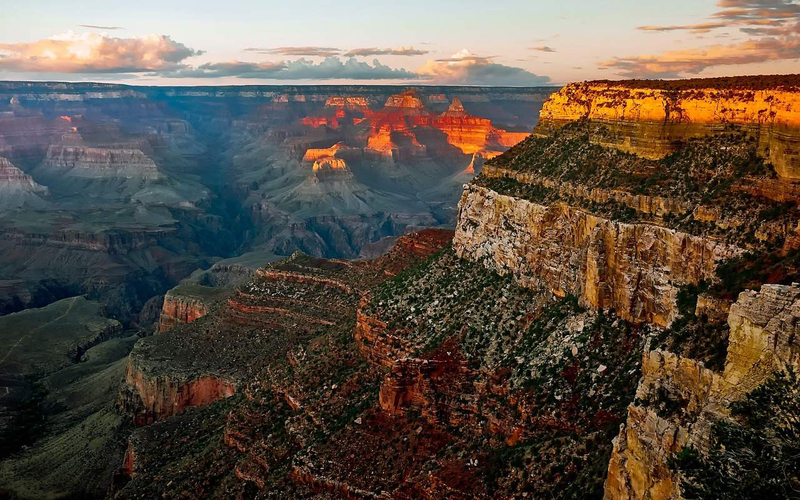 Next, guests will spend three hours at Grand Canyon National Park with opportunities to walk along the rim, shop, capture an unlimited amount of photographs, and enjoy lunch and relax with the best seat in the house. Before departing the South Rim Village you will join your Phoenix-based DETOURS guide. You’ll finish out your tour with a drive through the Ponderosa Pine Forest and Sonoran Desert as you head back into the Phoenix/Scottsdale area, with drop off at your hotel.